What? 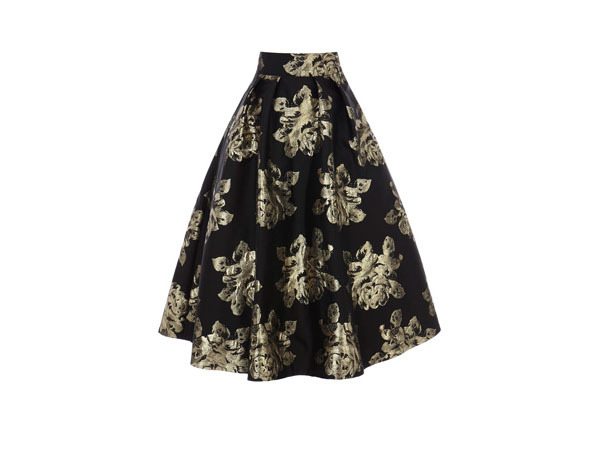 This Rita skirt from Coast is just oozing with vintage appeal. The golden metallic print, flanked by the black back fabric, makes it ultra-glamorous. But, it’s the 50s silhouette created that’s the real stunner. Perfect for date night or an evening out on the town. Priced at £125.